Can’t get in store? 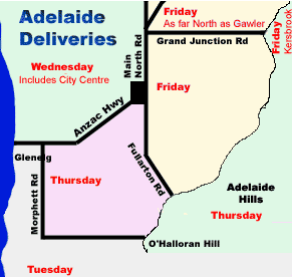 Home delivery is now available in Adelaide! For a delivery fee of $10.95 (or free delivery over $120) your order will be delivered straight to your door. Delivery days are Tuesday – Friday. The specific day of your delivery will be determined by your postcode. Please contact us to determine your delivery day and to place an order.